A parliamentary report of 1777 recorded parish workhouses in operation at Axminster (for up to 80 inmates), Colyton (66), Lyme Regis (32), Membury (18), Seaton and Beer (24), Stockland (30), Thorncombe (60), and Uplime (10). 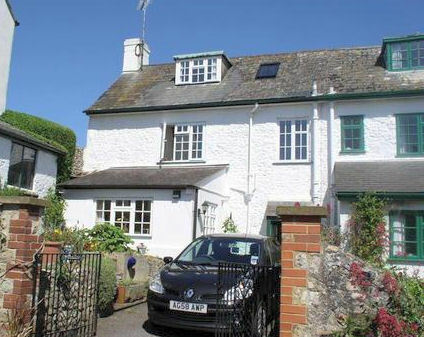 In around 1810, Charmouth erected a workhouse at the west of the village, at the north side of what is now Old Lyme Hill. 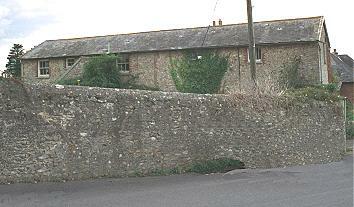 Part of Charmouth's former workhouse. Devon: Axminster (3), Axmouth, Beer and Seaton (2), Colyton (2), Combe Pyne, Kilmington, Membury, Musbury, Shute, Thorncombe (2), Uplyme. Dorset: Charmouth, Chardstock (2), Dalwood, Hawkchurch, Lyme Regis (3), Stockland. The population falling within the union at the 1831 census had been 19,490 - ranging from Membury (population 370) to Axminster itself (2,719). The average annual poor-rate expenditure for the period 1833-36 had been £10,218. In 1894, the British Medical Journal set up a "commission" to investigate conditions in provincial workhouses and their infirmaries. Following a visit to Axminster, the commission's report had many criticisms of the institution. The sick wards were described as "crowded and destitute of comfort, the bedsteads narrow and low, the red quilts much too heavy; the windows are small and placed high in the wall." The workhouse was entirely devoid of indoor water-closets and the only conveniences for the sick were commodes in the wards. No running water was laid on for the sick wards and the workhouse's sole bath had only a supply of cold water. Any hot water required was carried from the kitchens. There was just one nurse, assisted by paupers, with no night-nurse being employed. The report recommended the building of a small, well-equipped infirmary. More immediately, earth or water closets should be installed, and an additional nurse or nursing assistant appointed. Further details are available in the full report. From 1904, to protect them from disadvantage in later life, the birth certificates for those born in the workhouse gave its address just as Box House, Musbury Road, Axminster. The workhouse later became known Poor Law Institution and then under the National Health Service as Box House Hospital, renamed St Mary's Hospital in 1971. The former workhouse buildings have mostly been been demolished and replaced by modern housing. A surviving block near the former entrance to the site may have housed a vagrants' ward. 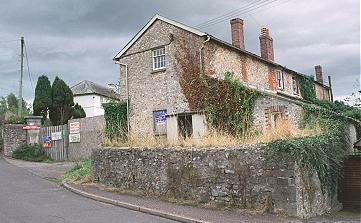 Axminster entrance block from the north-west, 2000. Axminster entrance block from the east, 2000. Devon Heritage Centre, Great Moor House, Bittern Road, Sowton Exeter EX2 7NL. Ver few local records survive. Main holdings ar Guardians' minutes (1836-1932).